Hi Team Board Gamers, to start off 2016, we have a piece of wonderful news to share with everyone! Starting Jan 2016, we have officially moved our warehouse space to 1 Sophia Rd, Peace Centre, #04-14,Singapore 228149. We have always wanted to own our own storefront and though we might not have achieved that goal yet, it is good enough for us at the moment as we are sharing rental space and cost right now with our sister company, Toy Shop Online. 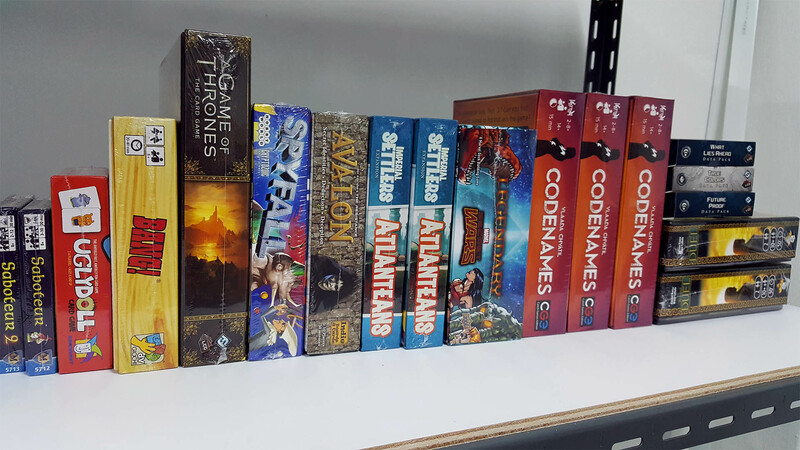 Best part is, it is conveniently located between Dhoby Ghaut and Little India, hence our customers are now able to pick up games from our place, 2pm to 8pm on weekdays and 11am to 6pm on weekends. We still offer delivery services though, either via Ta Q Bin ($8) or by us sending someone to deliver board games to your door step. Still in the midst of moving! We are importing Netrunner Data Packs and Expansions. Another reason for all Netrunner fans to choose us! There are over about 20 packs and expansions in all to update on site, so do bear with us while we drink coffee and rely on every ounce of caffeine to do a good job for you guys. Oh.. And we started a new service, where anyone can book our venue to play board games. Think Mind Cafe, just much more cosy and a wider range of games for you to select. More details will be coming, so watch out for that. December (Christmas) Lucky Draw Winner!! !